Designer Print: $29.99 (Tax, shipping and handling not included. International shipping available.) This designer print measures 16″ tall x 20″ wide. The unframed print is on acid-free, archival paper and is printed with the offset lithography process. Framing the print with museum-quality glass and avoiding direct sun and fluorescent light will ensure color longevity. You can order your print through the secure ordering process below. 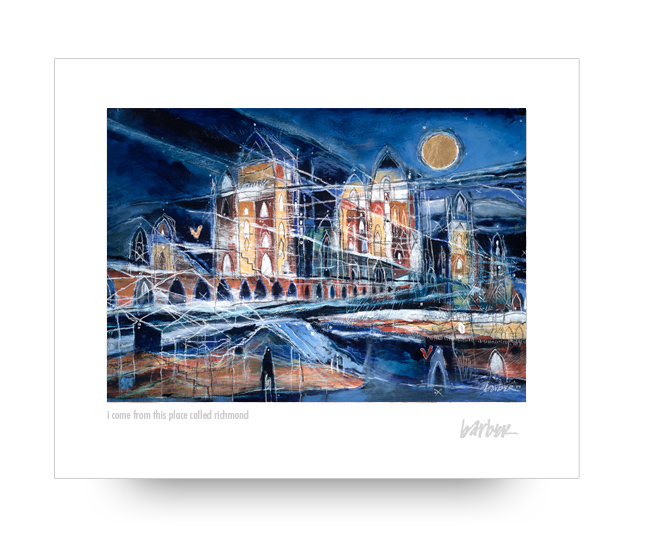 Or email joshua@barberfineart.com to secure your print, then send a check to “Joshua Barber Fine Art” after you receive your confirmation email. Please allow 2-3 weeks for delivery after payment has been received. 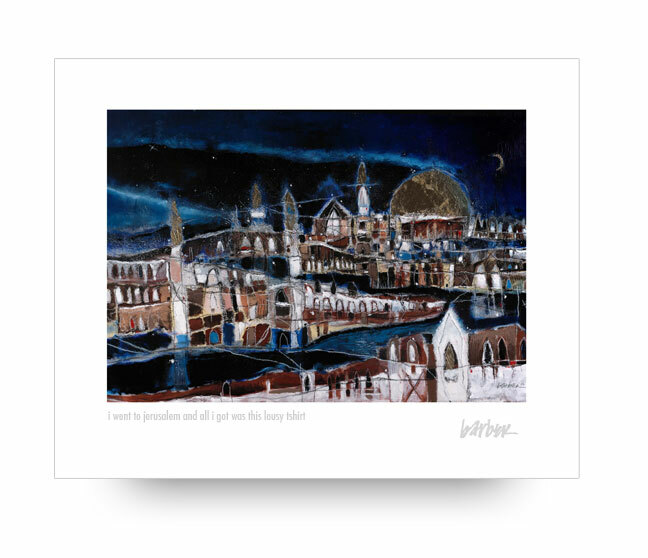 Each designer print is hand titled and signed by the artist. 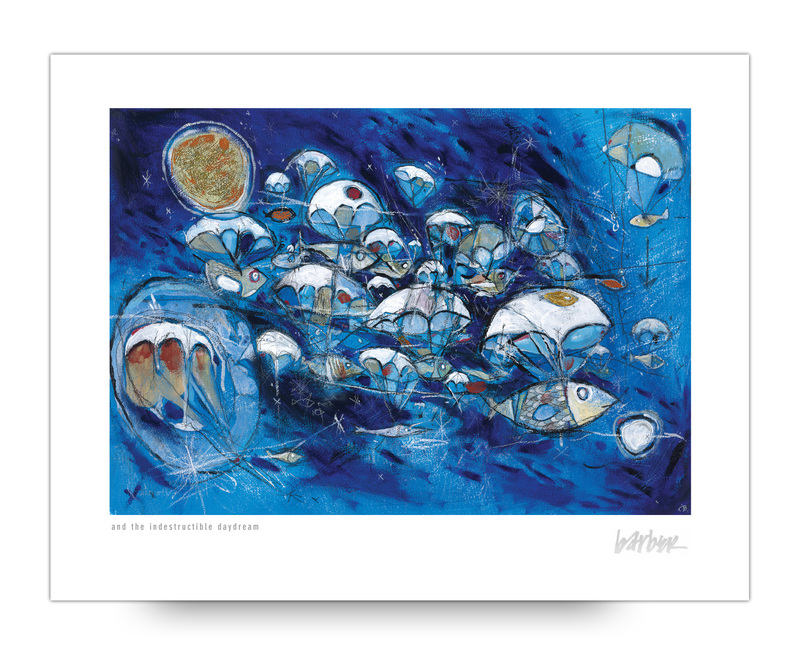 A 22” x 30” and the indestructible daydream giclee that is available framed and unframed. Please contact joshua@barberfineart.com for more information and pricing.